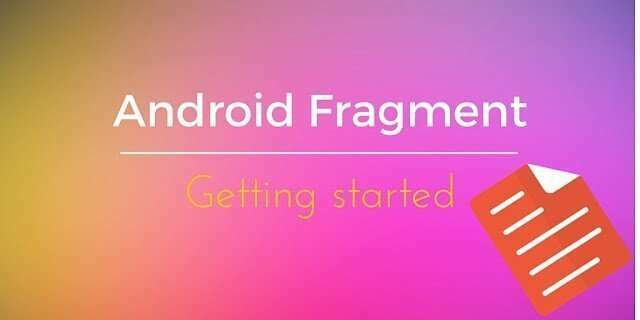 Android Fragment lifecycle is an important aspect to take into account before using fragments. Every developer, that wants to develop an application in Android, has to face the mobile phone fragmentation problem or the multiple screen size support. In other words there are many smartphone on the market with different screen resolution and different screen density. To make the situation more complex, if possible, there are not only smartphone but tablets also. It is clear to everyone that there are big differences between these two device classes in terms of screen size. Well, when we develop an application we have to keep in mind that it can works on different devices and it has to be optimised so that the user experience is fully satisfied. This creates many problems because we have to adjust the application so that it behaves differently when it runs on a smartphone or a tablet. What said until now is known as multiple screen support. In a previous post (How to support multiple screen in Android), i talked about how to support multiple screen using Android features like creating different layouts and so on. This is a technique that can be still used but it isn’t enough. A classic example it is an application that have an item list and when user clicks an item in this list the app shows the item details. Well in this case we could have different behaviours if the app runs on a smartphone or tablet. On a smartphone we must have two activities to accomplish this task. while in the tablet case we want to “use” all the device screen to show the details near the item list. Let’s move from the top to the bottom. At very beginning of the fragment life the method onInflate is called. We have to notice that this method is called only if we define fragment directly in our layout using the tag <fragment>. In this method we can save some configuration parameter and some attributes define in the XML layout file. After this step onAttach is called. This method is called as soon as the fragment is “attached” to the “father” activity and we can this method to store the reference about the activity. After it we have onCreate. It is one of the most important step, our fragment is in the creation process. This method can be used to start some thread to retrieve data information, maybe from a remote server. The onCreateView is the method called when the fragment has to create its view hierarchy. During this method we will inflate our layout inside the fragment as we do for example in the ListView widget. During this phase we can’t be sure that our activity is still created so we can’t count on it for some operation. We get notified when the “father” activity is created and ready in the onActivityCreated. From now on, our activity is active and created and we can use it when we need. The next step is onStart method. Here we do the common things as in the activity onStart, during this phase our fragment is visible but it isn’t still interacting with the user.When the fragment is ready to interact with user onResume is called. At the end of this phase our fragment is up and running!! Then it can happen that the activity is paused and so the activity’s onPause is called. Well onPause fragment method is called too. After it it can happen that the OS decides to destroy our fragment view and so onDestroyView is called. After it, if the system decides to dismiss our fragment it calls onDestroy method. Here we should release all the connection active and so on because our fragment is close to die. Even if it is during the destroy phase it is still attached to the father activity. The last step is detach the fragment from the activity and it happens when onDetach is called. The way we define our fragment impacts on its lifecycle because in the first case onInflate is called while in the second case the lifecycle start from onAttach method. While if we define our fragment using a place holder we need to do some other work. We need a bit more wok on activity side, because we have to instantiate by ourselves the fragment and “insert” it in this FrameLayout. hello sir,thanks for such a wonder full tutorial.